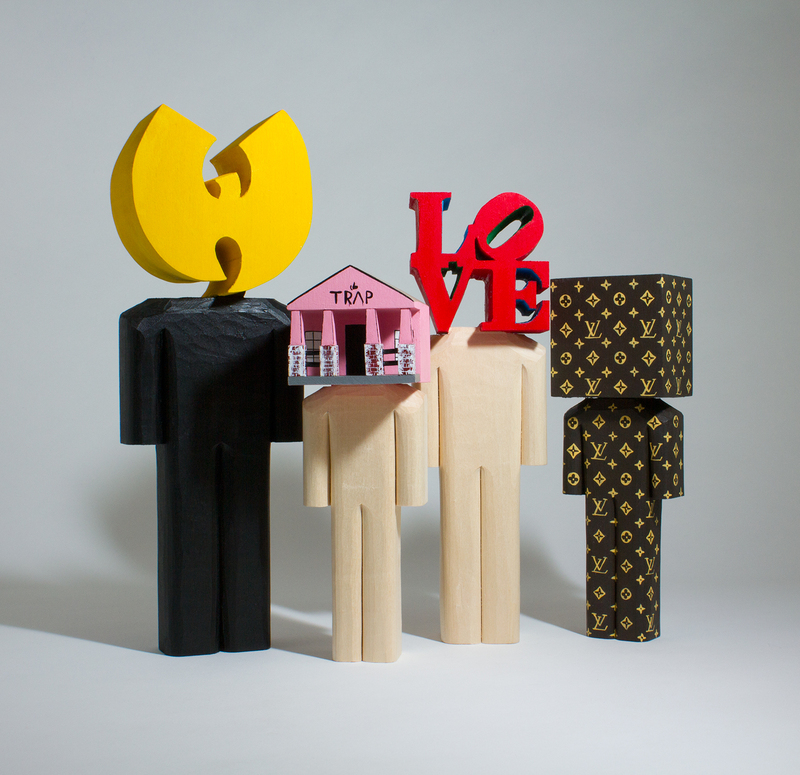 Today we’d like to introduce you to Chris Skeene a.k.a Blockhead. Chris, please kick things off for us by telling us about yourself and your journey so far. 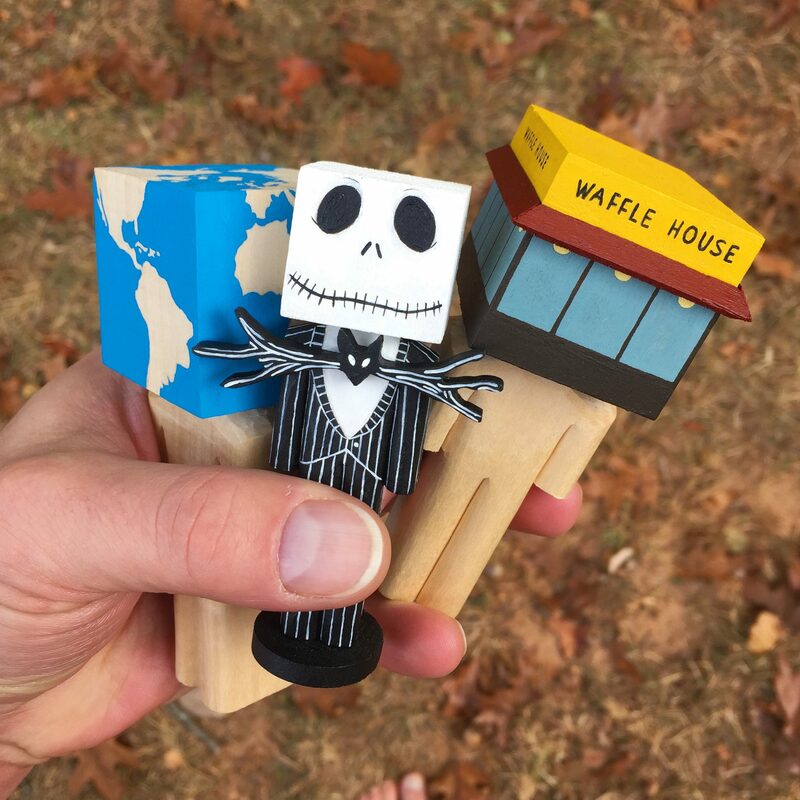 I discovered the free art scene in Atlanta (FAFATL) and was completely taken with it. Before I had even found any art, I was brainstorming something I could make and hide. After months of brainstorming I saw a carved wooden figure and it occurred to me the I should whittle a figure with a square head. I could make the same shape over and over while finding new ways to make each one different. 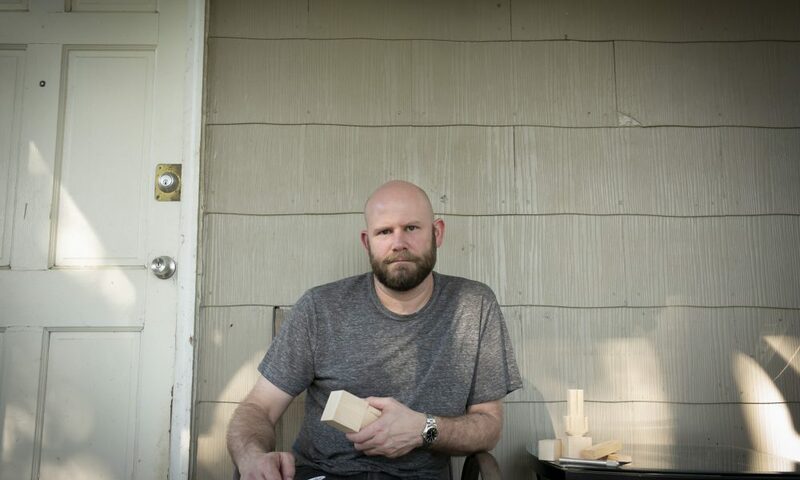 My dad was a carpenter so I had grown up around wood working and had played around with whittling when I was a kid. 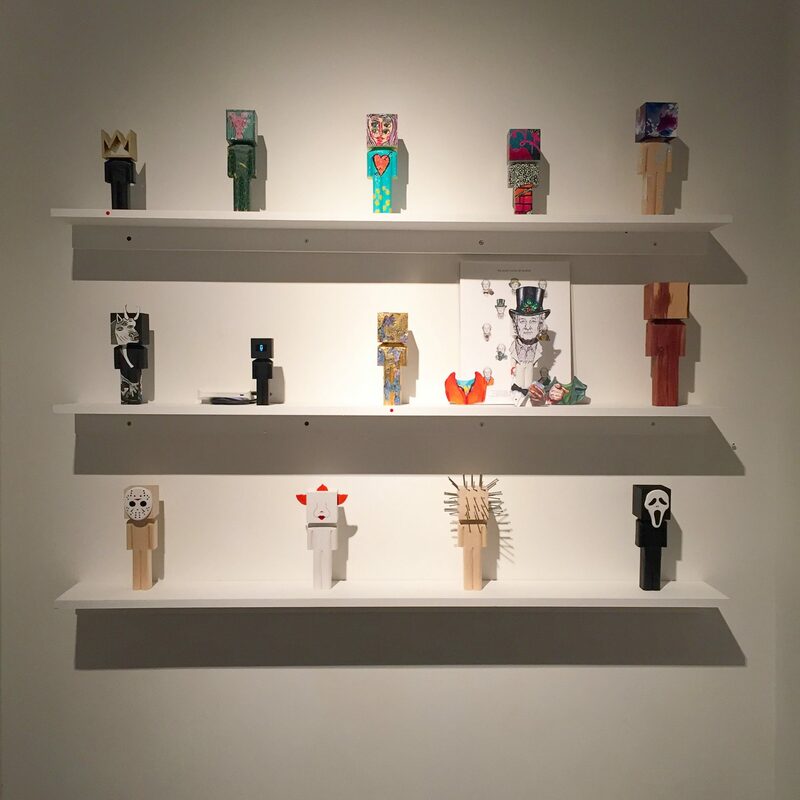 After participating in the free art scene heavily for a few years, Kai Lin Art reached out to me and asked if I would be interested in showing work in the gallery. 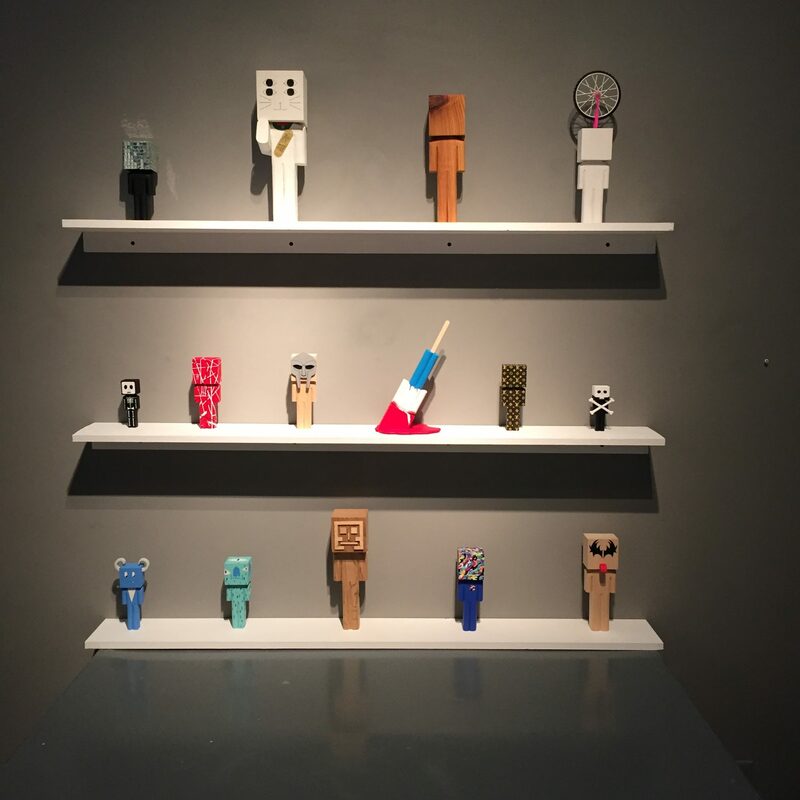 Showing in a gallery has allowed me to push blockheads into a whole new direction. I was finally able to make larger, more intricate time-consuming pieces. 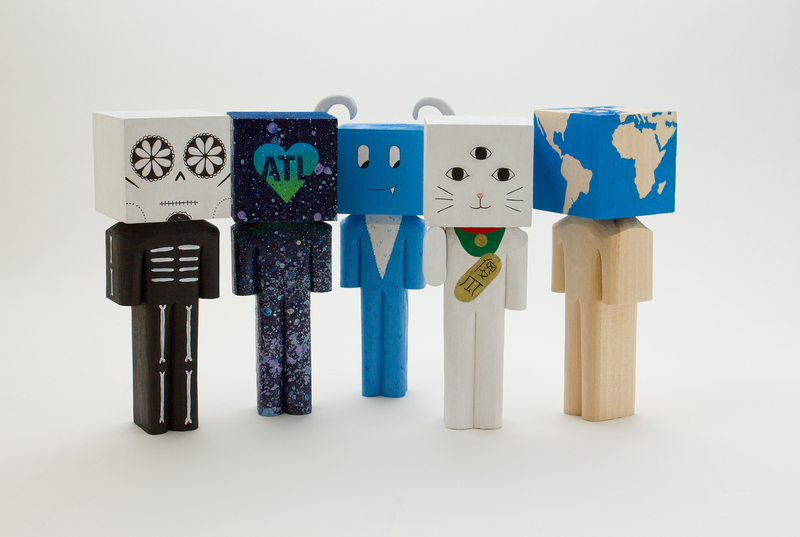 I hand-carve square headed figures that I call blockheads. I’m interested in bringing variety to the repetition of a single form. I love taking this one shape and pushing myself to somehow make it different each time. Sometimes adding to it and sometimes taking away. I take a lot of inspiration from collectable vinyl toys (Kidrobot, Bearbrick) and Pez dispensers. I used to collect Pez dispensers and I always enjoyed seeing a large display of them. Every one is the same but they are all different. I set goals for myself and as I reach each goal, I am successful. 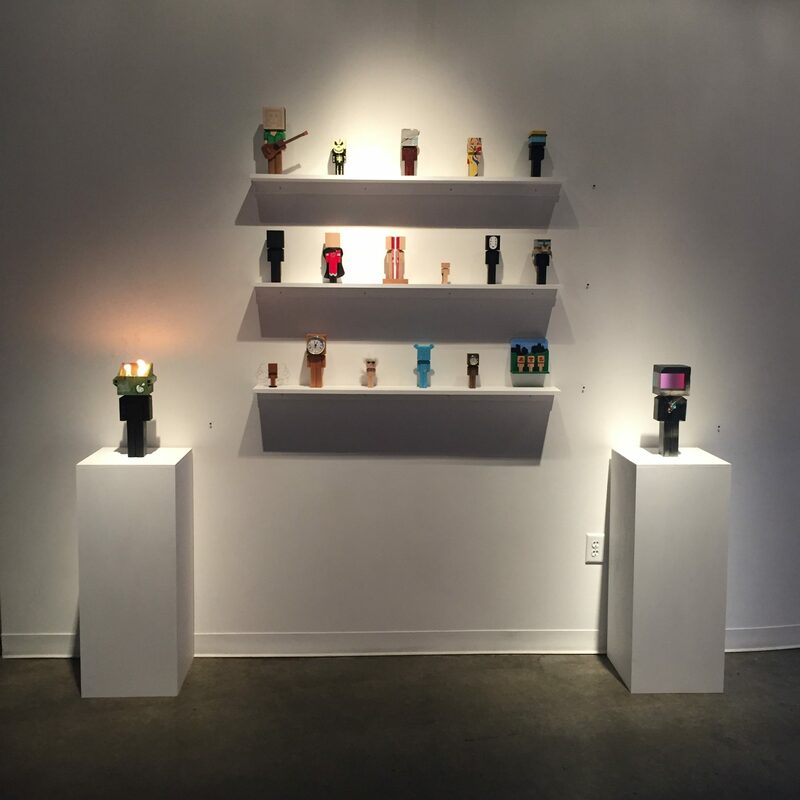 One of my goals was to have my work shown in a gallery on a regular basis. I’ve accomplished that goal so now I have a new goal of finding another gallery but outside of Georgia. Each of these small successes push me closer to my ultimate goal of working on my art full-time. But I will be successful even if I never reach that ultimate goal..
Every artist will define their own success differently but I don’t think any of them can be truly successful without persistence and a solid work ethic. Sometimes you have to make work when you don’t want to and that is when you learn what’s really important to you. Kai Lin Art always has some of my work on hand. And I’m mostly always taking commissions. 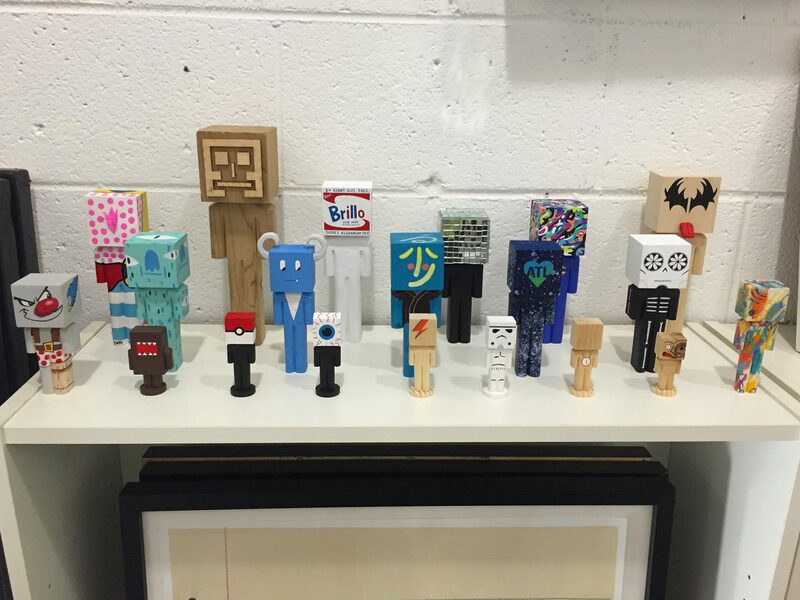 I’m on Instagram as @blockhead_atl.